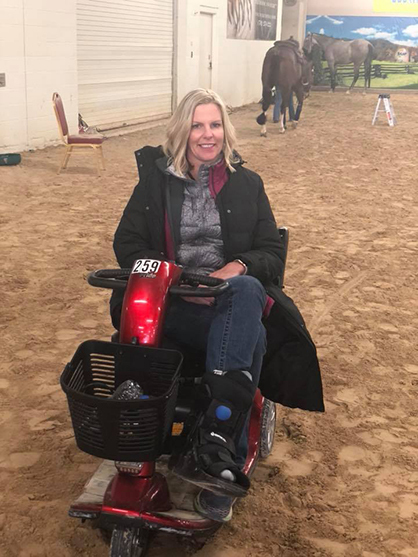 My journey started with Kellie Hinely, who, at the moment, wears an air cast on her left foot- making her superstition even more difficult at this horse show. Unlike most people who adhere the adage, “put your boots on one foot at a time,” or maybe it goes, “I put my pants on one leg at time,” either way it says nothing about which leg or foot should go first. 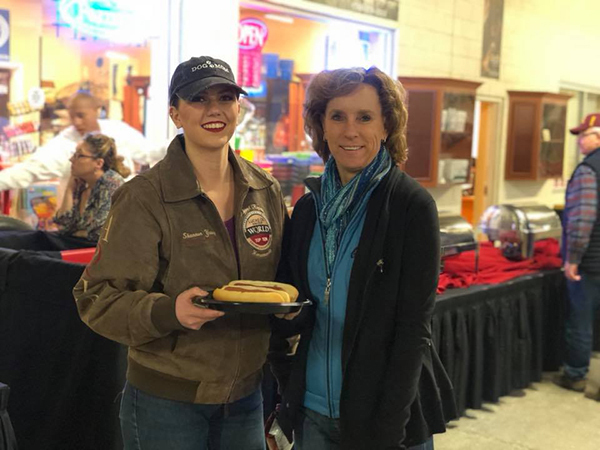 For Kellie, since she was a teenager, she has adhered to the strict rule that the left boot ALWAYS has to go on first. For now, that means taking off her cast and putting it back on before she can put on her right boot to head to the horse show in the morning. I didn’t ask if her accidentally putting the right boot on first had something to do with the incident that caused her to break the foot in the first place, but I think we can make a safe assumption that she will not veer from her routine any time soon. Kellie sent me to the Trail pen where I found Bear, aka “Leslie Lange.” Bear, at first, thought she wasn’t part of the superstitious crowd; but, once she found one quirk, that lead into plenty others. “The only thing I do is that I have to wear the same clothes in the prelims as I wear in the finals. Well, maybe not all the same clothes, but the same outfit,” she conceded after being prodded by Jim Searles. She also wears the same necklace. “If I don’t wear it at the big shows, I don’t have any luck,” she claims. The necklace “bears” her nickname, Bear, on it in script. Next time you see Jim heading into the Coliseum, watch him quick ball change his way through so he ensures he gets his four steps in. (I think this would be worth watching.) If the four steps don’t seal a win, Jim has one last thing that should. “The last thing I do before I walk in the pen every time is say to myself, “ride every stride.” That one might be a good habit for anyone to steal. There was so much good material on this that I had to carry it over to Day 3! Stay tuned for some crazy quirks from Jason Martin, Andrea Kail, Deanne Searles, and Will Knabenshue tomorrow! Visit www.SilverDollarCircuit.com for results, score cards, and live feed.